Super Bowl 2019 Ratings: How Many People Will Watch The New England Patriots vs. Los Angeles Rams? Super Bowl LIII is going to be the most-watched show on American television in 2019. That is not up for debate. The only uncertainty is regarding exactly how many people will watch Sunday’s game between the New England Patriots and Los Angeles Rams, and if it could set a new record. We can pretty much be sure that at least an average of 100 million people will be tuning in throughout the final NFL game of the season. 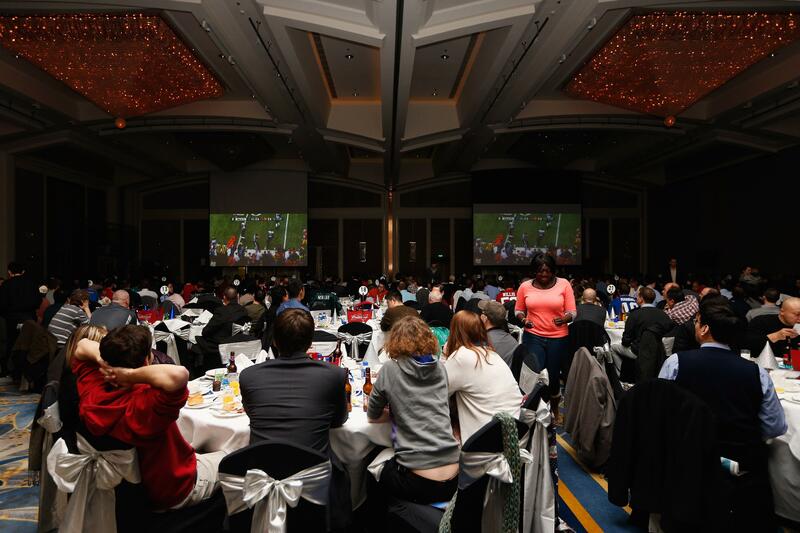 The viewership for the Super Bowl has been in nine figures for nine straight years. The 2018 Super Bowl did see a major decline in viewership. After more than 111 million people watched the Patriots beat the Atlanta Falcons in the 2017 Super Bowl, 103.39 million people tuned into the next year’s title game, according to Sports Media Watch. The comparatively low Super Bowl LII viewership came after a season during which the NFL’s ratings had declined. It marked the first time since 2013 that fewer than 110 million people watched the game and the Super Bowl’s lowest viewership since 98.73 million people watched the 2009 Super Bowl between the Pittsburgh Steelers and Arizona Cardinals. Last year’s Super Bowl drew a 33.4 rating. No Super Bowl in the previous decade had a rating lower than 36.7. The Super Bowl record was set in 2015 when an average of 114.44 million people saw the Patriots beat the Seattle Seahawks in a thriller. The numbers, however, should improve this year. NFL TV ratings rose five percent in 2018, according to the league. The AFC Championship game between the Patriots and Kansas City Chiefs drew a 31.2 rating. The conference title game in the late-afternoon window had a 24.7 rating in 2018. That time slot did a 31.8 rating in 2017. What does that mean for Sunday’s game? It’s safe to say viewership could be way up from last year, but not quite at the level of the 2017 Super Bowl. Somewhere around an average of 110 million viewers might be the best guess. The competitiveness of the game could determine whether the final number exceeds or falls short of expectations.